Anyone want to help celebrate a birthday this weekend?! 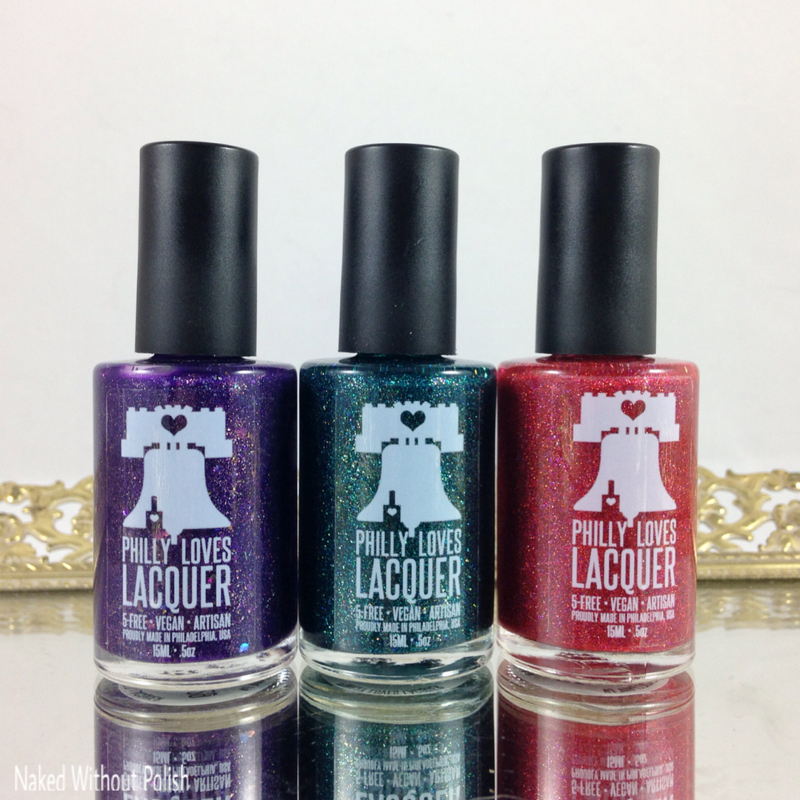 The mixologist behind Philly Loves Lacquer is turning 30 and decided to release a Dirty 30 Birthday Trio to celebrate her 3 decades of life. 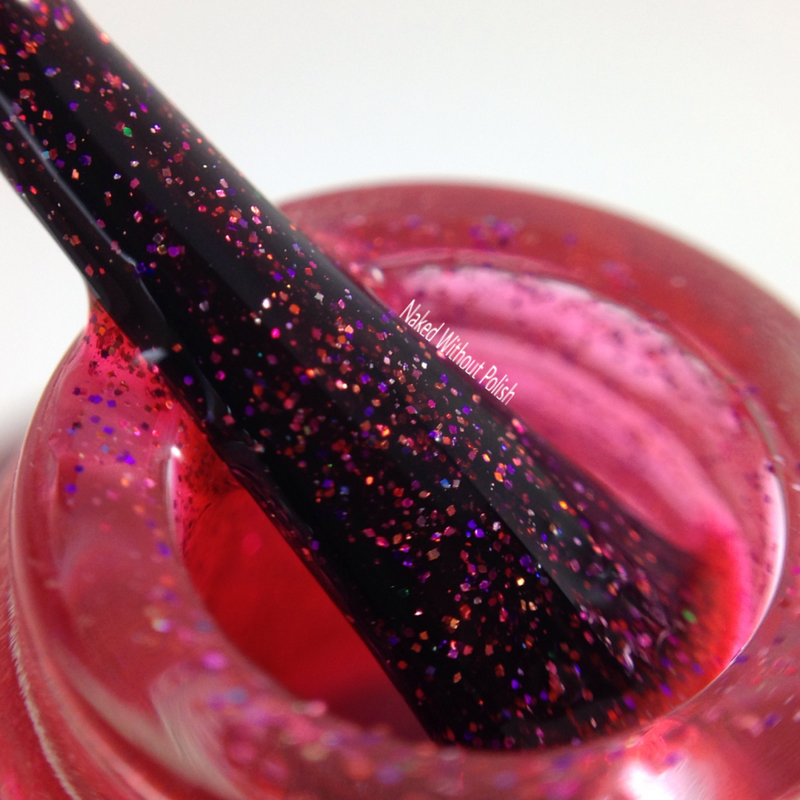 I'm happy to show you swatches of this squishy, sparkly trio to show you all today. 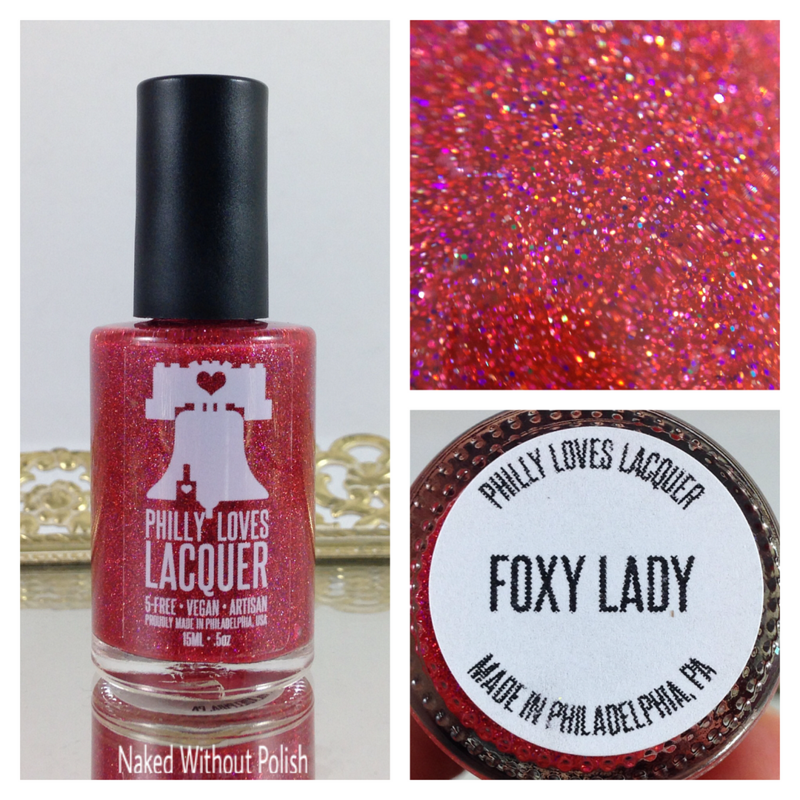 Foxy Lady is described as "a pink toned red full coverage jelly filled with holo and non-holo micro glitter". Shown is three coats of Foxy Lady with top coat. 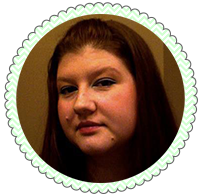 Foxy Lady had an amazingly smooth formula. No issues with application. Three coats is definitely needed for full coverage and extra sparkle. I dare you not to feel at least a little foxy while wearing this beauty! 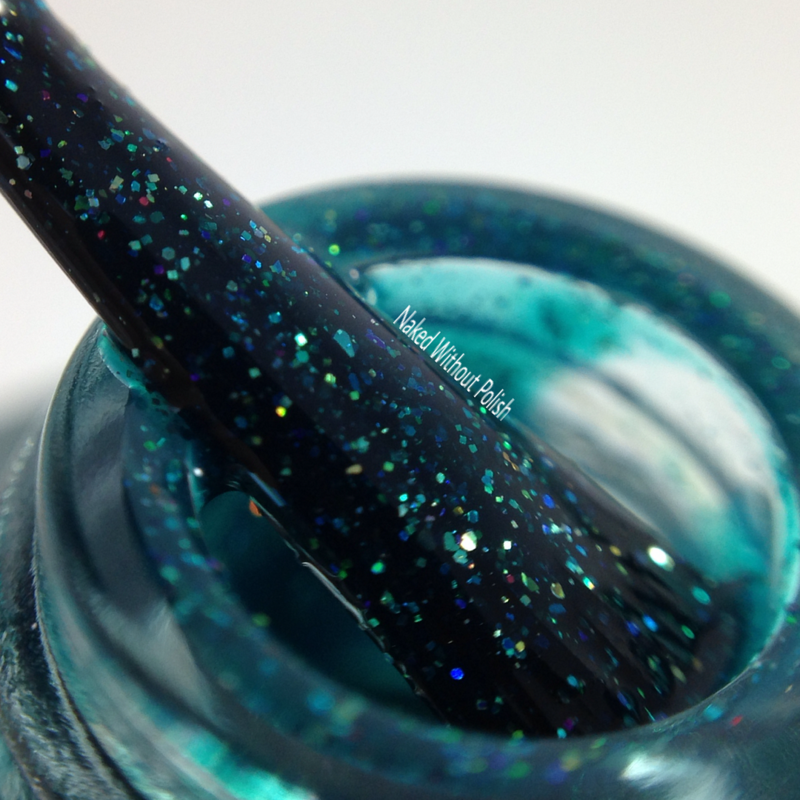 Eighty6 is described as "a teal full coverage jelly filled with holo and non-holo micro glitter". Shown is three coats of Eighty6 with top coat. Eighty 6 is such a dark, mysterious beauty. It had a great application and formula. Three coats is needed for full coverage and lots of sparkle. 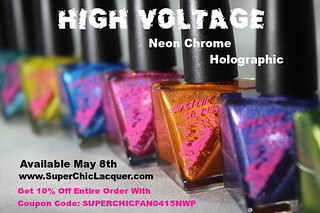 This is a polish you can get lost in. 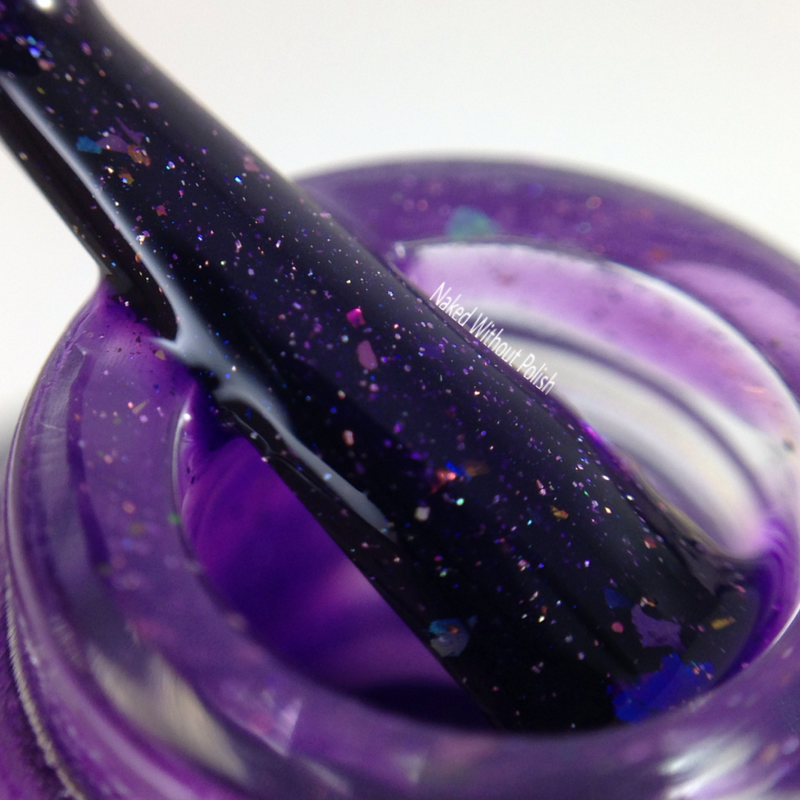 Forever 29 is described as "a deep purple jelly filled with various colors of UCC flakies, chameleon chrome flakies, and holo micro glitter". Shown is three coats of Forever 29 with top coat. Forever 29 is such an incredible purple! Definitely the squishiest jelly of the 3! It applies like butter...so smooth and even. So much depth in the layers. I don't think I could pick a favorite. These three are each so beautiful. 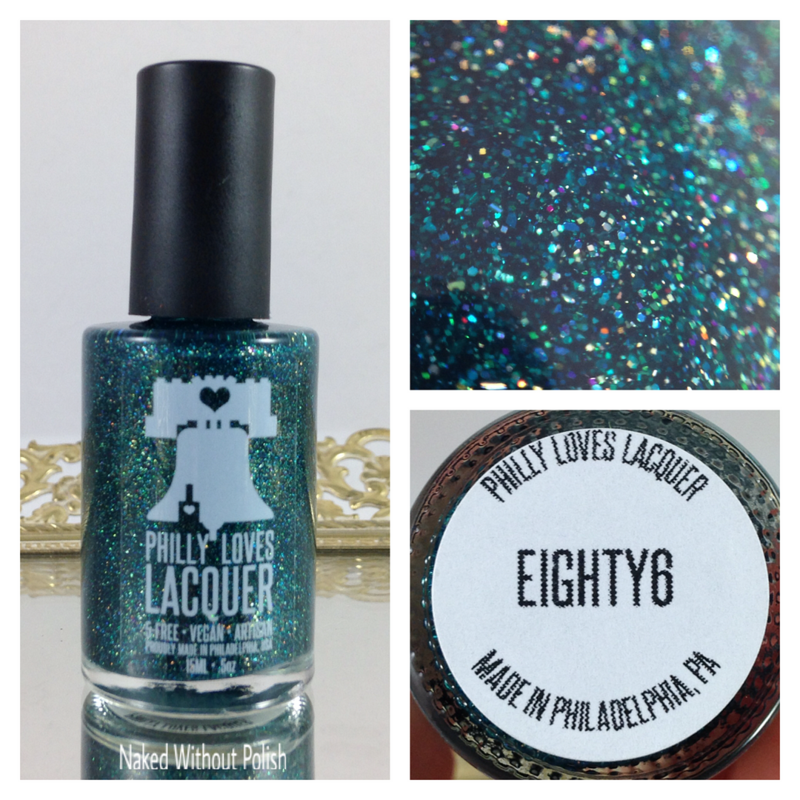 Philly Loves Lacquer created such a simple and cohesive trio. Who doesn't love a good squishy jelly filled with beautiful glitter?! You'll be able to pick up this trio for yourself on Saturday, April 16th. They will be available individually for $6 for minis and $12 for full sized bottles. Want the whole collection? Don't worry, you can buy the full trio at a small discount for $15 for minis or $30 for full. I recommend the full trio. 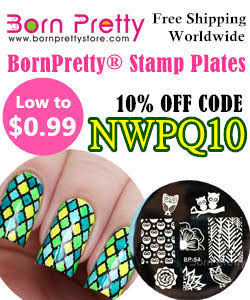 Especially if you are good with nail art. They work so well together! Make sure you are following Philly Loves Lacquer on all of her social media platforms to stay updated on news, sales, and releases. Did you have a favorite from these three?